The Arctis line from Steelseries, a new line of headsets designed from the ground up to refocus on minimalist yet gamer-driven emphasis, launched this fall. While the Arctis 3, Arctis 5, and Arctis 7 have increasingly specialized features, each one is designed to boast the same quality sound. 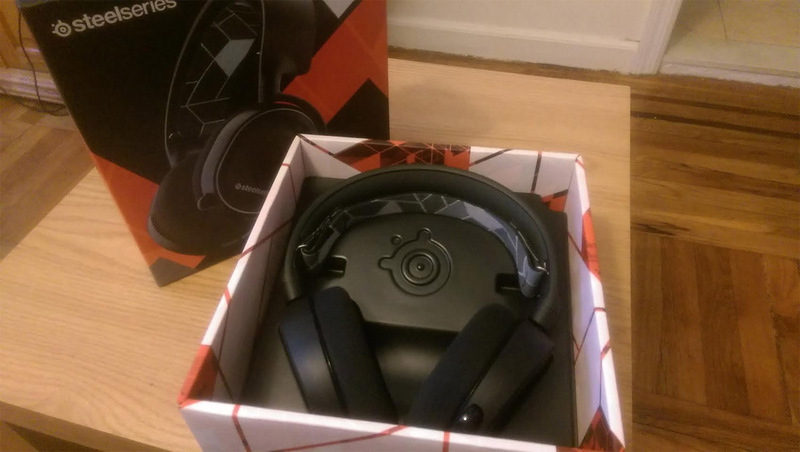 The unit I received was an Arctis 3, the set with the most basic features and lowest price tag of the three. Despite being the least expensive, this price-point ($80) still puts the unit on the high end of mid-cost units. The Arctis 3 comes with the headset and three separate cords. There’s a universal cord which plugs into the headphones and can then plug into a variety of audio out adapters, two of which come with the headset: a short 4-pole adapter (which can plug into controllers, phones, etc.) and a long 3.5 mm analog adapter that can plug into the audio and mic ports of a PC. 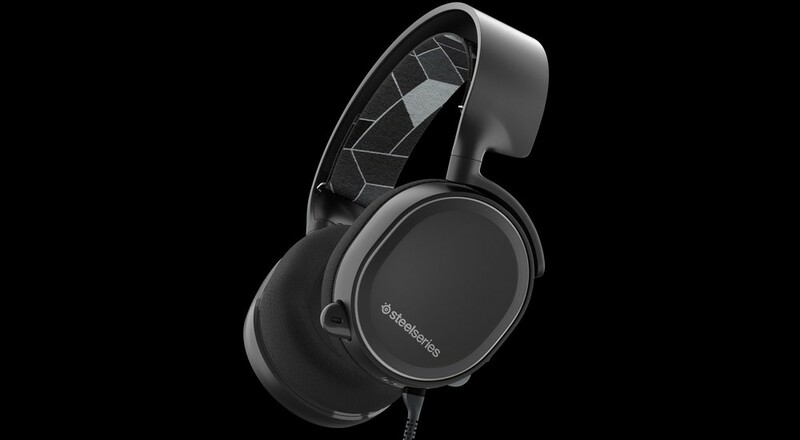 Compare this with the Arctis 5 ($100 with USB connection and RGB LEDs) and Actis 7 ($150 for USB connection and wireless option). Regarding the physical construction, the Arctis 3 has a unique suspension band (made of the same material found in ski goggles) that sits an inch under the hard plastic band connecting the two earphones. It’s fully adjustable via velcro on both ends and Steelseries even offers additional bands for sale if you want to make the headset a style statement. Functionally, the stretchy band ensures the unit won’t slip off your head and is more comfortable than any headset I’ve previously owned. It beats padding any day of the week. I was similarly impressed with the comfort of the memory foam earpads. They fully enclose the ear without squeezing too tightly or slipping out of place. Continuing on with the features, the Arctis 3 has a button and a dial on the back of the left earcup. The button is for muting the mic (it’s flush with the earcup when unmuted, raised when muted) and the dial is for volume control. I like the idea of the volume being directly located on the earcup, though I did notice I inadvertently spun it a few times when picking up or putting down the headset. This led to some confusion as to why my sound had cut out when I came back to my computer. This is by no means a deal-breaker, but one of those potential quirks you might want to be aware of.